I have opened a store!! 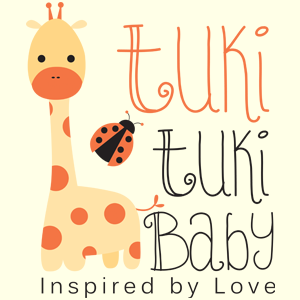 Yes, Tuki Tuki Baby is all about organic hand knits, wooden toys and art. This project has a very profound meaning to me, because my son Andy was the first person I spoke to about this project. He gave me his blessing and simultaneously purchased the domain. I wish the whole world would have met my son. What an unbelievable human being he was! I am extremely enthusiastic about my store. All the knitting is done with 100% Organic Cotton. The texture of these garments is velvety soft. I am very proud of my knitting team and I can proudly say it is all made in USA. I also carry wooden name trains, puzzles and decor for baby's room. All art and decor is made by my friend Kary, who has an amazing talent. I have been working on this project for almost a year. It is with great effort that Tuki Tuki Baby has been built and as sales go up, the store will grow as well. One thing I cannot forget to mention is that Tuki Tuki Baby was named after my grandson, Alek, whom I nicknamed Tuki Tuki when he was a baby. Here are a few pics of what Tuki Tuki Baby has to offer. All Beanie & Bootie Sets come in mason jars. I love, love, love mason jars! I love these Beanies with rosettes!